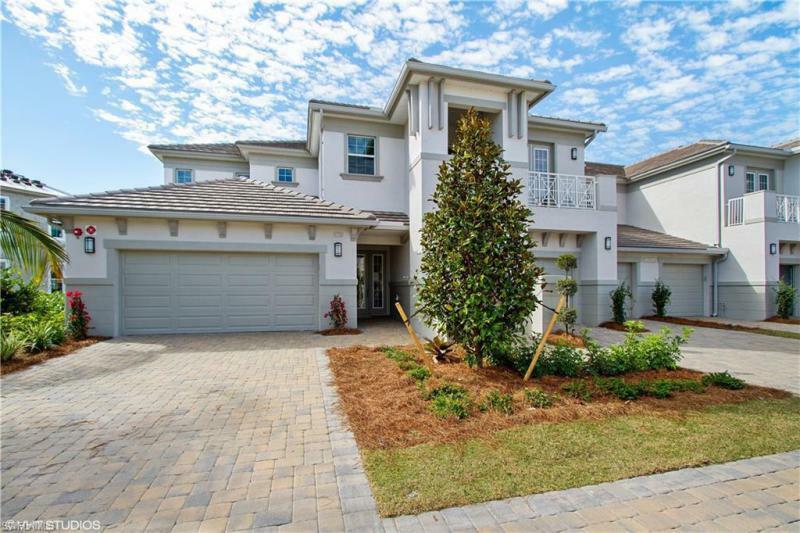 Come explore this stunning former builder's model being offered turnkey furnished at players cove in the award-winning community of lely resort. This spacious three bedroom plus den second-floor residence is set lakeside and features the exceptional finishes you would expect in a builder's model. Players cove is located across the street from the popular players club and spa which features thirteen tennis courts for the competitive or casual player, two resort pools, a lap pool, bocce ball courts, full-service spa, fitness center, full-service dining with an indoor/outdoor bar plus tiki bar. Call today for your opportunity to own one of the best-appointed residences in lely resort. C. 16071. Must see! Enjoy gorgeous lake views from this beautiful 3 bedroom 3 bathroom players cove condo in lely resort. Located across from the players club and spa which offers three pools, a fitness center and spa, a tiki bar,13 tennis courts, an active tennis program, pickle ball, bocce courts, restaurants, a theater room, a card and game room and more. Enjoy morning sun in the breakfast room and sunsets from the front balcony. Features include a large two-car garage, pre-wiring for an elevator, a lanai enclosure to keep the lanai clean and dry, crown moldings and plantation shutters throughout, and a wet bar with beautiful cabinetry. Lely resort also offers 2 public golf courses and one private golf course. Come and enjoy the resort lifestyle! Enjoy the amazing waterfall view from this highly upgraded second floor condo. Home has a private elevator for easy access. The waterfall and landscaping are lighted at night for viewing from your expansive balcony. High end furnishings are included for buyers enjoyment. Kitchen has granite counters, stainless appliances, and custom lighting. Bar has granite counters, wine cooler and wood cabinets for glass storage. Tile on the diagonal in the living area and carpet in the bedrooms. Hunter douglas window treatments both manual and electric. Impact glass windows for complete storm protection. Crown molding through out the home. Wonderful large storage room for all the extra belongings. Players club membership includes one lap pool and two beautiful lagoon pools, 13 tennis courts, tiki, fine restaurant, fitness center, spa, and an extensive social calendar. Lely resort offers one private and two public golf courses. As a lely resident you will truly enjoy the friendly, relaxing, vacation lifestyle the community has to offer! Nicely furnished new signature club wentworth model by the award-winning design firm clive daniel. This property is a spacious first floor coach home located in the gated community of signature club at lely resort. Brand new and never lived in. It offers 2096 square feet under air, 2 bedrooms, 2. 5 baths and den. This condo has been meticulously finished with superior modern materials including quartz countertops, stainless steel appliances, and a free-standing soaking tub in the master bathroom. Signature club residents are located within walking distance to the players club & spa as well as being members of the famous resort-style amenity center, the players club and spa. This is an exceptional value and we invite you to come see it for yourself! Gorgeous lake view condo! 3 bedrooms 2. 5 bath, 2100 sq. Ft. Beautifully maintained and decorated like a model home. Desired spacious floor plan. Newer wood flooring in large master bedroom and guest bedrooms. Custom closet in master. Tile floors on diagonal throughout main areas. Fabulous light fixtures. Lovely bar area great for entertaining. Spacious lanai with serene lake view. Laundry room w/lots of storage space and sink. First floor living and design feels like a single family home. Attached large two car garage with built-in storage, impact glass windows. Furniture negotiable! Located on a cul-de-sac. Players cove is located directly across the street from the award winning players club & spa which offers several indoor and outdoor dining choices, two resort style pools, lap pool, full fitness center w/ fitness classes,13 tennis courts, bocce and pickel ball. Resort also offers a private golf club, the classics and 2 public courses, the flamingo and mustang along with a public clubhouse and restaurant. Easy drive to naples, 5th ave. , 3rd street s, bayfront, tin city, naples pier and renowned naples beaches. Close to marco island too! See video! 3rd price reduction motivated seller. Amazing million-dollar view for half the price. Rarely available 2nd floor coach home overlooking lake and 18th green of mustang island golf course, private elevator, newer ac (2014), cathedral ceilings, worry-free impact glass and doors, and custom window treatments. Master bath includes roman tub, separate shower, his-and-hers vanities. Kitchen includes morning room with 8-foot bay window, hi-grade granite countertops and island, plus a walk-in pantry. Pocket door off kitchen leads to dining room; additional pocket door off hallway leads to guest bedroom suite w/separate bath plus laundry/up graded storage room. A short walk to champions clubhouse w/heated pool and jacuzzi. Property is furnished and turnkey - just bring your bathing suit and/or golf clubs. The players club & spa (available but not mandatory) offers 3 resort pools with waterfalls, chickee huts, full-service dining, indoor-outdoor bar, bocce courts, 13 tennis courts, full-service spa & fitness center plus the friendliest tiki bar in town! Lely resort has 3 championship golf courses, two public and one private with no mandatory memberships. 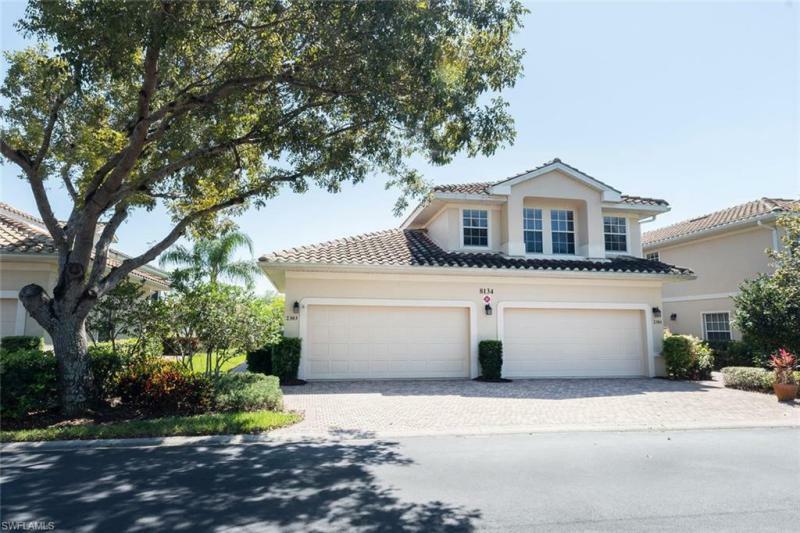 Beautiful second-floor coach home within the gated community of legacy at lely resort with large panoramic golf course and lake views. Come enjoy an immaculate nicely appointed large 3 bedroom, 3 bath + den unit with private elevator. Additional upgrades include tile, custom paint, stainless steel appliances, new samsung washer/dryer, window treatments, fans, custom mirrors, granite countertops, closet shelving, security system and more. Lely resort has three championship golf courses, private membership if desired and of course the players club & spa.